Napa Bolting! | EAT MY PLANTS! Dang, that Napa Cabbage is finicky. It’s bolting already. See the seeds? Either the nights were too cold, days were too warm, too little water, too much water… I don’t think they got too little or much water. I fear either the box got too warm in the morning before getting opened, or the nights were too cold early on. I don’t really know. 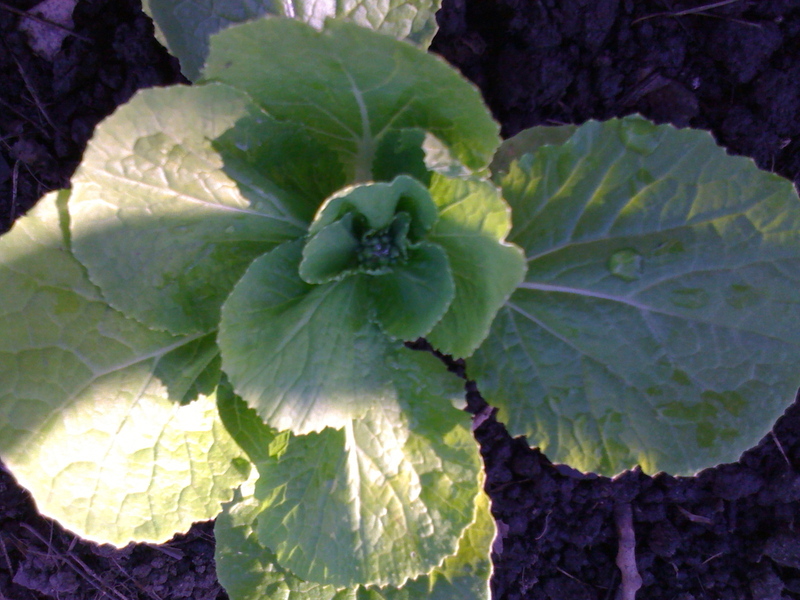 I DO know that we’ll be having baby Cabbage greens in our salad and on our turkey burgers tomorrow. Otherwise, these Cabbages were looking really great until today. Let ya know how tasty they were.